I enjoy sight reading, since it lets me "play" the piano. However, I'm still progressing and have difficulty reading pieces with chords that have 3 or more notes, especially if that piece has a significant number of chord changes to go with it. At the moment, in order to read a chord I will have to look at all of the individual notes and put them together unlike in lead sheets where the chord symbol is given. This necessarily takes more time - it essentially becomes an exercise in reading 3 notes, rather than just 1 or 2. Does an experience pianist see a chord and just think "A7, 2nd inversion", without worrying about the notes, or are they reading the notes, too, just faster? Many different ways! Some players who are extremely good readers will simply look at the dots and their fingers will automatically land on the correct keys. Others, like myself, will be expecting a choice of maybe 3 or 4 chords in a sequence, so will second guess what they will be.Then looking at the lowest note, working out rapidly what the inversion is, or might be. Not always good guesses, I might add. With the chord symbols above the staves, life is often easier, except when the name doesn't necessarily reflect the actual chord - more often in hand-written parts. If it's a piece that's been heard before, I find I have a mental map of the chord sequence, sometimes vague, sometimes not bad, and that helps, as the left hand goes onto a kind of autopilot, and sometimes notes get left out, or an octave copy put in, none of which is too bad for the finished article. What will eventually happen for you is that in certain keys, you'll recognise clusters of dots, which will immediately make your fingers go to those chords. Rather like we recognise the shapes of long words, and don't have to sound out each phoneme or syllable. Simple example in A (bass clef)- 4 dots, each on one of the spaces = Amaj7. In G - dots on bottom 4 lines = Gmaj7. Look at the shape of the complete chord, not the individual notes. For example, triads in root position and 1st and 2nd inversion have different patterns of thirds and fourths between the notes. This also helps when some or all the notes are on leger lines. You only need to "name" the note that is nearest the staff (with the fewest leger lines) and recognise the others from the chord shape. For example you should be able to see that the example is a "4-note root position C chord" and "an octave of C's" without having to figure out the pitch of the extreme notes that are on 5 leger lines. The C's on two leger lines should be familiar enough to be easy to read. The same ideas work for reading the intervals between successive notes in the score, of course. Personally I don't consciously name the chord as "A7 second inversion" or whatever. The objective is to play it, not name it! But of course if you are familiar with the style or genre of the music, you will begin to recognize harmonic progressions of several chords that occur often, rather than each chord in isolation. might suggest a more basic problem. You need to read ahead of the notes that actually playing. How far ahead depends on how complex the music is and how good a reader you are, but for simple music it might be several bars ahead, not just one or two notes. That way, if you do hit a "speed bump", your brain has time to get over it before your fingers run out of notes to play. One way to practice that is to sight-read a passage of music without playing it, close your eyes, and play it "from memory". Don't worry if you can only do this for passages of only one or two notes at first - you will improve with practice. Other answers have hinted at what I think is the crucial component, but I'm not sure it has been articulated exactly. I play piano mostly by ear and from lead sheets (e.g., | Cmin | F7 | Bb maj | and so on). While I can read sheet music, my sight-reading is terrible. I posed this same question once to someone who was a very good sight reader and he didn't know how he did it. If, tomorrow, I decided I wanted to become outstanding at sight-reading chords, I would focus all of my energy on two things: (1) immediately recognizing the bottommost (or topmost) note in the chord, and (2) immediately recognizing the intervals in the chord. Skill (1) speaks for itself, and you can practice this by simply pointing to random staff lines and naming the note. Skill (2) is a bit more complex. The best place to start is by imagining we're in the key of C major. 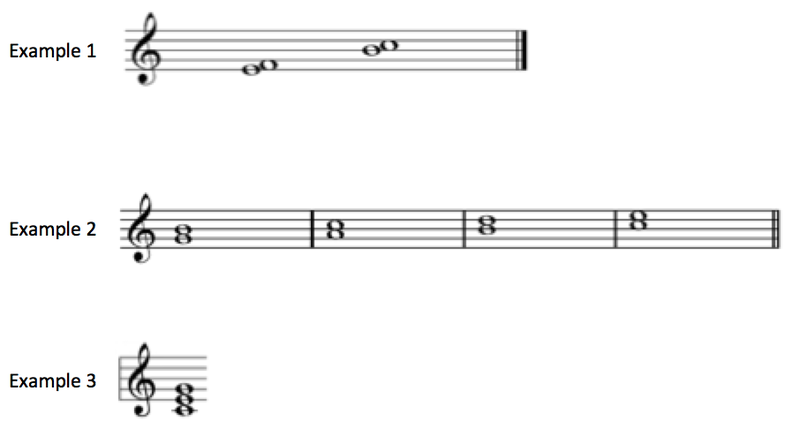 And when I look at each chords shown in example 2, I want to instantly know that the notes are not right next to each other in the scale, but rather are separated by one scale tone. Once I could identify and play any interval in C major, I would practice them all in G major, and D major, and every other key. Then I would start practicing three-note chords. Again, when practicing three-note chords, I'm still trying to cultivate my ability to see the shape of the chord and immediately recognize how many scale tones separate each note. 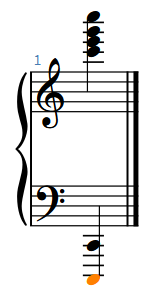 For instance, when I look at Example 3, I'm thinking: (1) bottom note is a C; (2) second note is separated by one scale tone from the bottom note; (3) third note is separated by one scale tone from the middle note. Ultimately, the goal is to do even less thinking than what I've described. I want to be automatic, such that I can see the shape of a chord on the page and immediately recall a particular finger/hand shape that I've practiced (e.g., for that chord I have 1 scale tone separating each finger). So I practice these until I am automatic and don't have to think at all. But I organize my practice to be systematic so that the work and learning that I do in C major supports my work and learning in G major, F# major, and all of the other keys. Once I could recognize three-note and four-note chords, I would practice chords with sharps and flats that take me outside the scale I'm working in. Adjusting a finger up/down a half step based on the accidental is probably the third distinct skill for sight-reading chords. I tend to think that this third skill (adjusting for accidentals) would largely come naturally after doing rigorous practice on the first two. But some additional practice is probably needed. So I think the crucial skills are (1) pairing intervals on the page to shapes of the hand, and (2) knowing where to put these shapes on the piano by recognizing the bottommost (or topmost) note in the chord. Regarding practicing theory, I know people who are spectacular sight-readers but know nothing of the theory. And even though I might know that a chord is A7/C#, I'm not accessing this knowledge when I look at the notes on the page and try to sight-read them. Thinking about the theory would slow me down. The goal in sight-reading is to become automatic and to require no thought at all, and the only way to achieve this is through practice. Making the practice systematic can make the learning process more efficient, I think. Regarding "looking ahead," I don't think this is something to focus on, think about, or even attempt in the beginning when at your current stage. You don't have the problem that you're dwelling too long on a chord. In other words, your problem isn't that you're reading a chord and then continuing to look at it after you've figured out what it is. If you try to look ahead to the second chord before you've successfully figured out the first chord, you'll fail and quickly become discouraged (at least, if you're anything like me!). It only makes sense to focus on "looking ahead" in the music if you already have the ability to see a chord and quickly find the correct finger/hand shape. Once you possess that skill, you can then turn to guaranteeing that you're not looking longer than necessary at any one chord. It is often a good idea to have a quick look at the keys and the composer of the piece before actually playing it. For example, if Mozart wrote a piece in D minor, you can usually expect G minor and A major (A7 major as well) chords to appear. With this in mind, you will probably find it more easy to sight-read pieces with chords, if you already have some feeling of what notes should be in the chords according to harmony theory. This will of course become more difficult when you want to play Rachmaninoff or something like that, as they use more complicated chords. A more general answer is probably that you can exercise it just as many other things. Just go ahead and take some pieces you don't know yet and give it a try. I have a novel, new angle for you to consider! Lately, I've been applying a technique that I learned at a speed reading class for reading printed words. That is, to go pretty fast, and try to get whatever little comprehension you can, as you rapidly move your eye through the text. Then, go back and read the same text over again at the same quick pace, moving your eyes again quickly, and you will find that you comprehend a little bit more. After about 6 or 7 passes you will comprehend most of it. This doesn't take very long, and let me explain how that works with regard to sheet music - I'll hammer out a piece at the appropriate tempo, trying to get, the rhythmic figures right, even if I'm "slopping" the notes. The second time, the rhythmic figures are usually even more accurate, and maybe I'll get a few more notes, (including chord clusters) right! (I pretend, while doing this, that I'm an expert sightreader, like the Broadway rehearsal pianists in New York or something...those guys can play a piece at tempo without ever having seen it before.) I make a game of it! If I really want to buckle down and learn the piece thoroughly, I find it much easier after making these rapid fire, attempts. Of course, the sloppiness sounds awful, so it is best to practice this on a digital with headphones! Not the answer you're looking for? 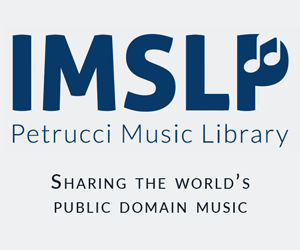 Browse other questions tagged piano chords sight-reading or ask your own question.